For information on contacts for the next observing session, check out our Event Calendar page. 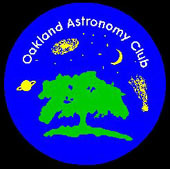 Planets Click for Club Newsletter or see "Planet Finder" in Observation Aids section and select Detroit for location. *Lunar Phases .GIF animation by Ed Stephan (stephan@cc.wwu.edu). Check out the Virtual Reality Moon Phase Pictures to view the phase of the moon for any date and time from 1800 to 2199 A.D.
Lunar phases are important in case you're interested in planning your observing sessions around them. Most of these objects will require at least binoculars to see. Please consult a star chart for more precise location information. M-2: Globular cluster in Aquarius. M-15: Globular cluster in Pegasus. M-27: Planetary Nebula (The Dumbell Nebula) in Vulpecula. M-29: Open cluster in Cygnus. M-31: Spiral galaxy (Andromeda Galaxy) in Andromeda. M-32: Elliptical galaxy in Andromeda. M-33: Spiral galaxy (Triangulum Galaxy) in Triangulum. M-34: Open cluster in Perseus. M-35: Open cluster in Gemini. M-36: Open cluster in Auriga. M-37: Open cluster in Auriga. M-38: Open cluster in Auriga. M-39: Open cluster in Cygnus. M-42: Emission nebula (Orion Nebula) in Orion. M-45: The Pleiades open cluster in Taurus. M-52: Open cluster in Cassiopeia. M-78: Diffuse nebula in Orion. M-81: Spiral galaxy located very close to another galaxy (M-82) in Ursa Major. M-82: Irregular galaxy located very close to another galaxy (M-81) in Ursa Major. M-101: Spiral galaxy (The Pinwheel Galaxy) in Ursa Major. M-103: Open cluster in Cassiopeia. NGC869 and NGC884: The Double Cluster in Perseus. A telescope is usually required to split close double stars. Please consult a star chart for more precise location information. Here is a link that will allow you to type in your city (in the U.S.) and get pass prediction information for the International Space Station (ISS). Note that this information is location-specific, so your timing for viewing the ISS may vary! NOTES: Included are only major cities currently in the range of visibility, with maximum spacecraft elevations over the horizon larger than 10 degrees. The data are also valid for suburban regions around these cities, with slight changes in Direction of Movement and Max. Elevation. Pickup Time: The local time of day that the spacecraft becomes visible on the horizon. J-Track Satellite Tracking is a nice site that will provide you with information on other satellite passes, such as the Hubble Space Telescope (HST) and Chandra X-Ray Observatory. Heaven's Above is a site that provides you with all the information you need to observe satellites such as the International Space Station and the Space Shuttle, spectacular events such as the dazzlingly bright flares from Iridium satellites, as well as a wealth of other spaceflight and astronomical information. Not only does the site provide the times of visibility, but also detailed star charts showing the satellite's track through the heavens. All pages, including the graphics, are generated in real-time and customized for your location and time zone. This shower calendar has been adapted from the Working List of Visual Meteor Showers published by the International Meteor Organization (IMO). Radiant positions are listed in right ascension and declination coordinates. The column "V" is the velocity in kilometers per second. "Code" is the abbreviation for the shower that observers should use when reporting meteor observations. Periodic showers are listed as "var" under the ZHR column. More information about meteor showers is available from the American Meteor Society.